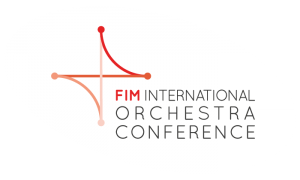 Founded in 1948, FIM is the international organisation for musicians’ unions, guilds and professional associations at global level. It is now counting about 65 members in 60 countries throughout the world. As a nongovernmental organisation, FIM has a permanent relationship with major intergovernmental organisations such as UNESCO, the ILO, WIPO. It is recognised and consulted by the Council of Europe, the European Commission and the European Parliament, which enables it to participate in crucial negotiations on the protection of performers where it can make the voice of musicians heard. FIM works closely with collecting societies administering performers’ rights. With about 3,300 members, the Quebec Musicians Guild (GMMQ) has a mission to promote the value of music as well as the vital contribution of professional musicians to society by representing and defending their artistic, social and financial interests. Notably, the GMMQ sets minimum working conditions for musicians and acts collectively on behalf of its members when it considers that their interest is affected. To this end, the GMMQ works with organizations whose objectives are similar. It is also actively lobbying to promote music and musicians to local, national, and international government bodies and communities. In addition, the GMMQ provides musicians with a range of services, such as legal services and preferential rates with several companies, including insurance companies.